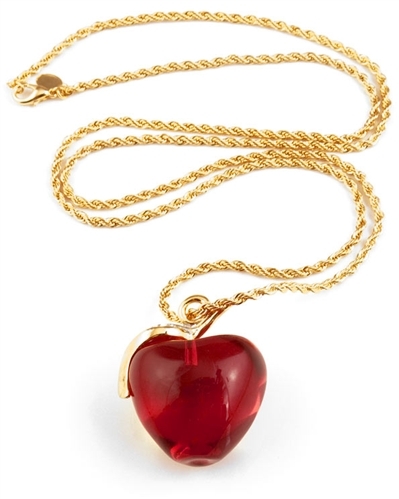 Red transparent apple pendant necklace. Leaf and Swarovski crystal pave detail at apple. Lobster claw clasp. 34" long. Electroplated 18k gold.